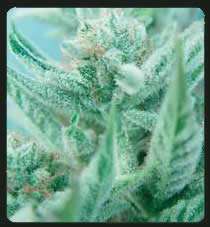 Lemon is a very special sativa/indica strain which was specially developed by the De Sjamaan for sativa high lovers. 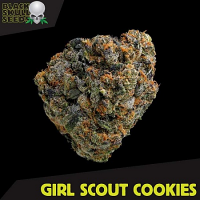 She is another variety of White Widow and possesses all characteristics of this cannabis - strong, reliable and a great producer of powerful cerebral high. Lemon seeds were developed for outdoor cultivation and, thus, perform better outside. 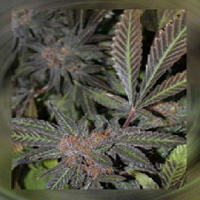 However, many cannabis growers get excellent results from this strain in their indoor gardens. 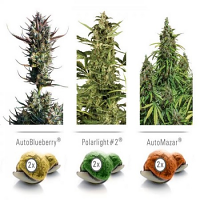 Mostly sativa, this marijuana seeds take a bit longer than any indica hybrids to germinate and mature. An indoor flowering is between 56 and 70 days during which she develops long sticky buds full of sweet and spicy juice. THC content is said to be 20+%, however, it’s possible to make it higher - the more you nature this sativa marijuana, the stronger she becomes. Mature plants have a tall graceful structure with a well developed branching system. Their size really depends on growing conditions - indoor varieties are very compact, of just 75 cm, and can perfectly fit even the smallest cannabis gardens. When grown outdoors, Lemon can stretch up to 300 cm and may require some tying to support her high yields which can be as high as 600 gram per plant. Harvests start in September/October if planted in May/June. An indoor yield can be as high as 500 gr per m2. A strong citrus aroma fills the whole growing area once flowering starts. 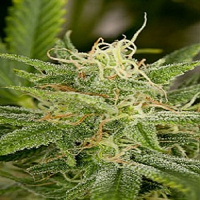 Lemon marijuana tastes soft and fresh and has a fresh lemon aroma. She doesn't scratch a throat and produce a very powerful clear uplifting and energizing high, so needed after or during a hard working day.